The Specialized Fast Trak’s consistent shoulder block layout improves cornering traction, while overall block spacing is on the wider side, which aims to improve mud/debris clearance. 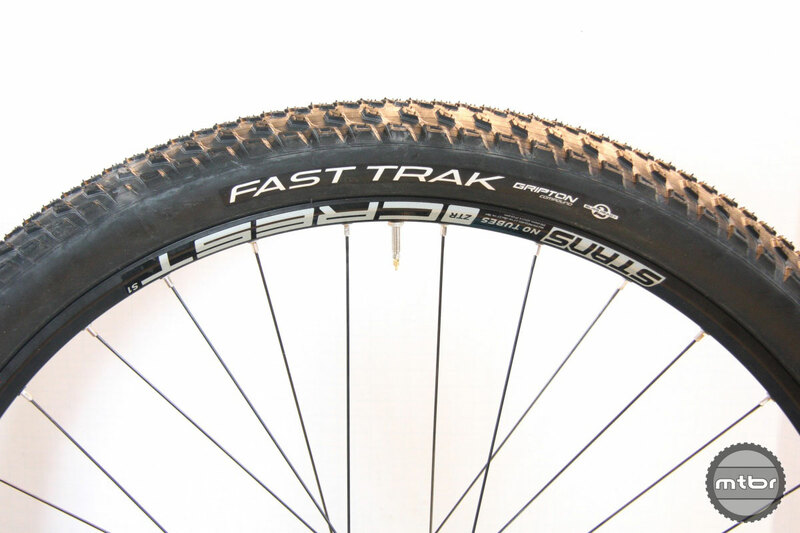 Using finite element analysis, the Specialized Fast Trak XC tire’s consistent shoulder block layout improves cornering traction, while overall block spacing is on the wider side, which aims to improve mud/debris clearance. 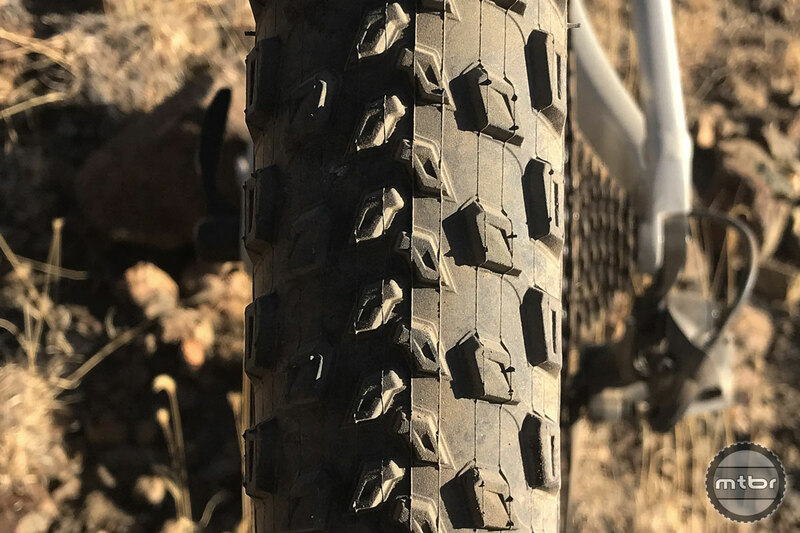 Specialized’s Gripton compound gives the tire a livelier feel, while also enhancing grip in wet and dry conditions alike. The comparatively low 60 tpi makes for a tougher, more cut resistant casing. And by CAD engineering knob shapes, Specialized says knob structure is strengthened for better braking and traction performance. Intended conditions are dry/hard packed to intermediate. On the Mtbr Park Tools DS-1 Electronic Scale the Fast Trak weighed 679 grams (39g more than claimed weight). When mounted on a Stan’s ZTR Crest S1 aluminum wheels, which have a 23mm internal rim width, actual tire width measured by the Park Tools DC-1 Digital Caliper was 2.16 (versus the advertised 2.3). 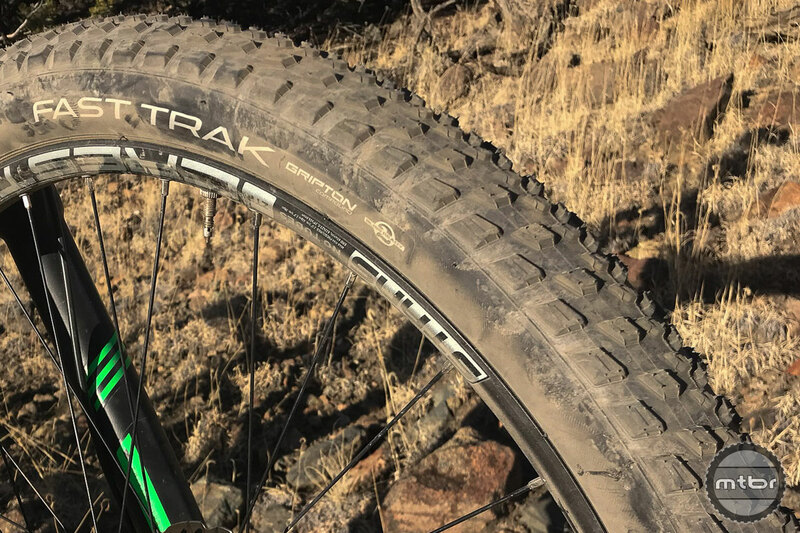 Mtbr tested the Specialized Fast Trak on a variety of surfaces, including hardpack, loose over hard, and rocky alpine terrain. Keep reading to find out how it performed. Mtbr found the Specialized Fast Trak could hold its own even on the loose, marbly terrain of Salida, Colorado’s S Mountain trails. Tightly spaced (almost touching) center knobs allow the Specialized Fast Trak to get up to speed quickly and stay there. Specialized is a company that’s never shied away from bold claims — or in this case a bold name. Indeed, its Fast Trak tire’s intended purpose is right there on the packaging label for all to see. Yes, it’s meant for going fast. And for the most part that’s exactly what it does. Tightly spaced (almost touching) center knobs allow the Specialized Fast Trak to get up to speed quickly and stay there, while relatively low profile shoulder knobs help keep momentum high even when leaning hard into a turn. On the Mtbr Park Tools DS-1 Electronic Scale the Specialized Fast Trak weighed 679 grams (39g more than claimed weight). 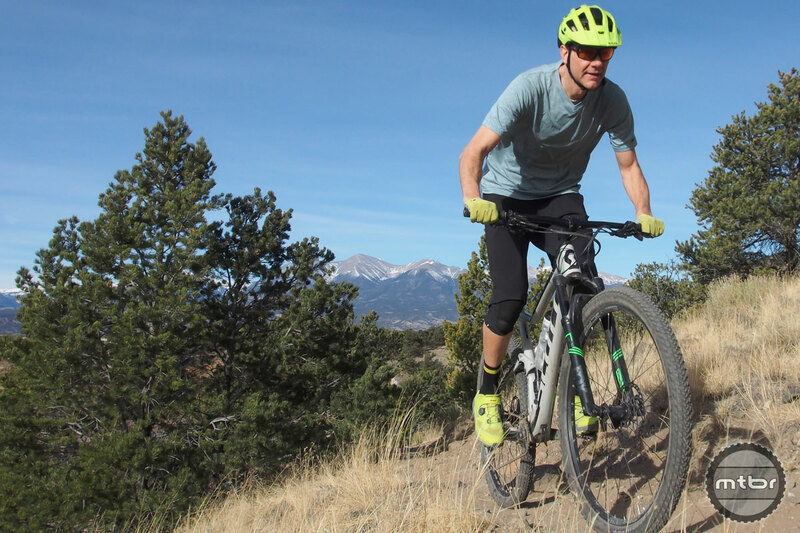 And while you might think that these speedy characteristics would mean a sacrifice in grip and cornering traction, Mtbr found that the Specialized Fast Trak could hold its own even on the loose, marbly terrain of Salida, Colorado’s S Mountain trails. This is in part thanks to cutouts in all the various knobs, which helps them better conform to the trail. 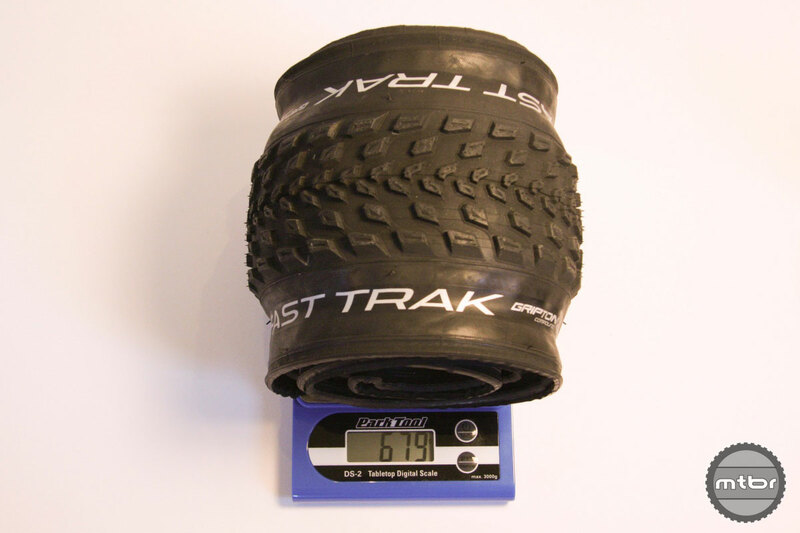 However, due to a minimal transition zone, the Fast Trak was not quite as predictable as some of the other tires in this test, meaning that when they do loose traction it happens abruptly and without warning. This took some time to get used to, but once you get a sense for how much lean angle they can handle, it wasn’t a huge issue. And honestly, they managed to maintain grip remarkably well in slippery terrain, just so long as it wasn’t totally wet and muddy. Straight line traction on steep, techy climbs was also impressive, and didn’t require as much attention to rider weight distribution as some of the other tires in this test. 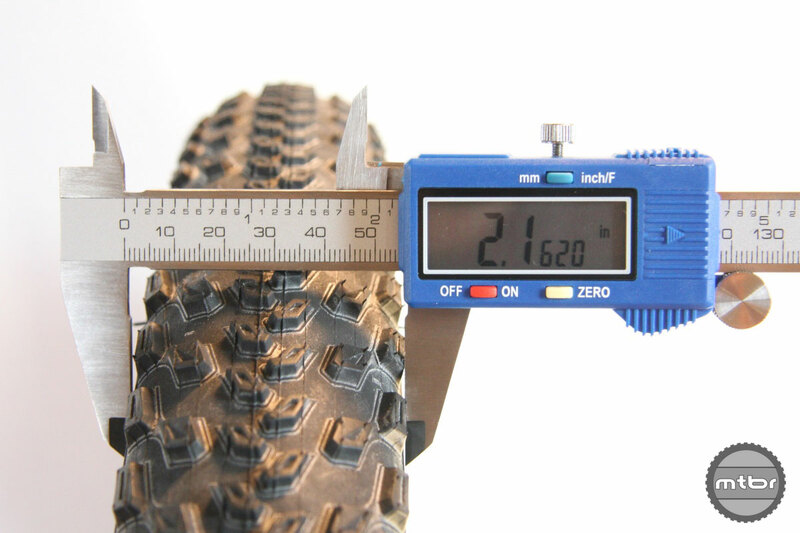 When mounted on a Stan’s ZTR Crest S1 aluminum wheels, which have a 23mm internal rim width, actual tire width measured by the Park Tools DC-1 Digital Caliper was 2.16 (versus the advertised 2.3). 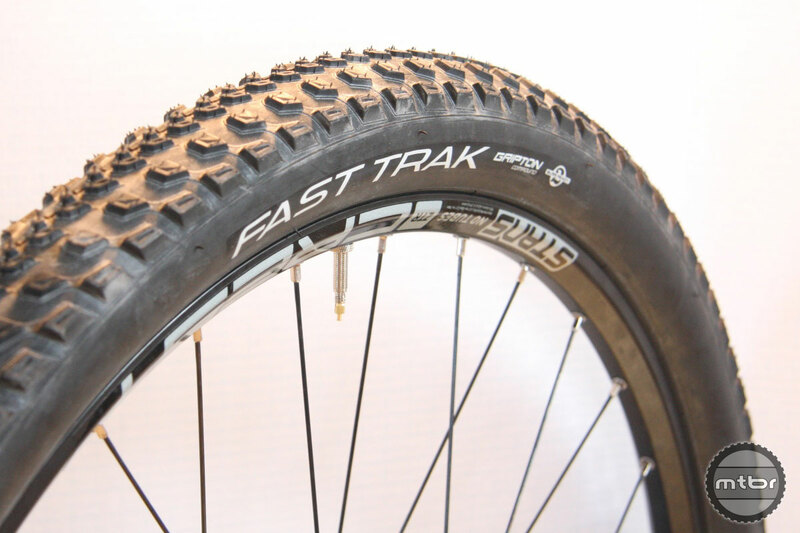 The Specialized Fast Trak is also super supple, especially the sidewalls, which makes mounting and setting up tubeless easy, and helps the tire truly conform to trail obstacles. 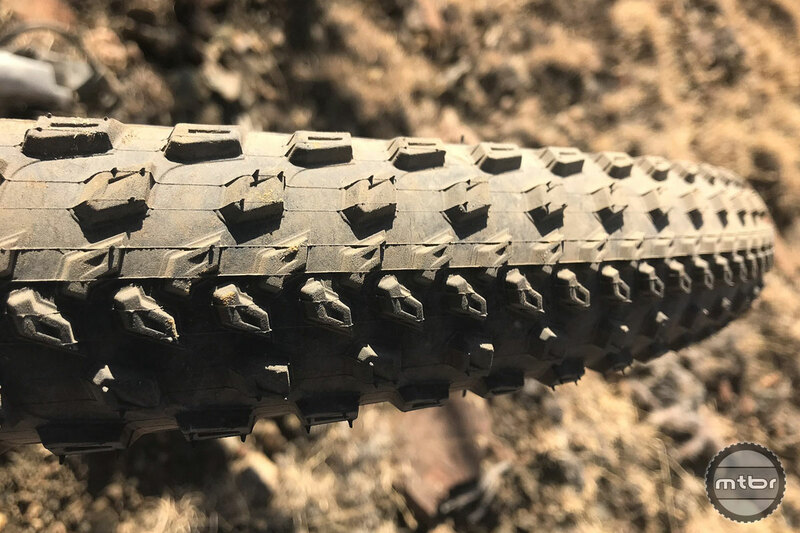 This is the hallmark of Specialized’s Gripton compound, which has a durometer of 56A, making it softer than many other tires, helping it conform to the surface it’s rolling over and filter vibration for a smooth ride. The downside of this softness, of course, is that these tires are more susceptible to sidewall cuts than some of the more robust (but also stiffer) tires in this test. While we suffered no flats during testing, I was extra leery about blasting into toothy rock gardens, and instead was more mindful of making clean line choices. It would also be nice if these tires actually plumped up closer to their claimed 2.3″ width, but narrow is the norm in this class of rubber. 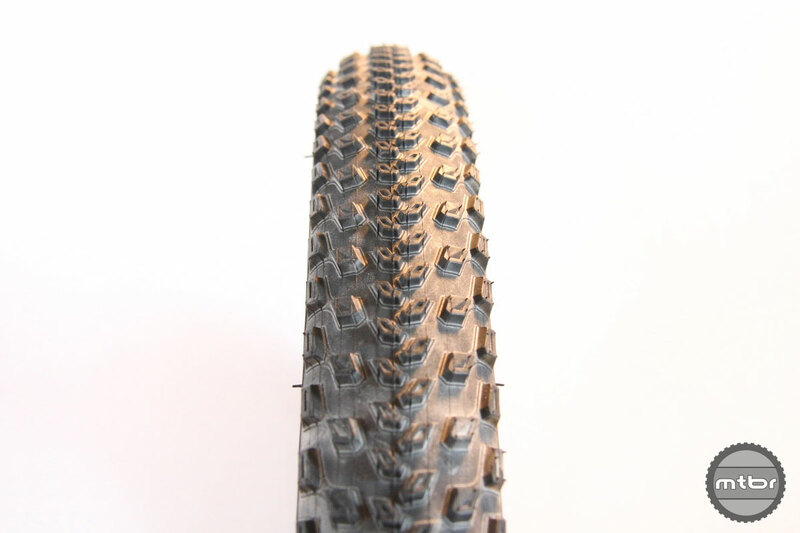 The sidewalls were less robust than other tires in test. Bottom line, the combination of price and performance make this version of the Specialized Fast Trak a very compelling proposition for cross-country riding and racing. At 679 grams they are on the light side of the tires in this shootout. And unless you regularly ride in particularly rocky terrain, they should be able to handle most anything you throw at them. 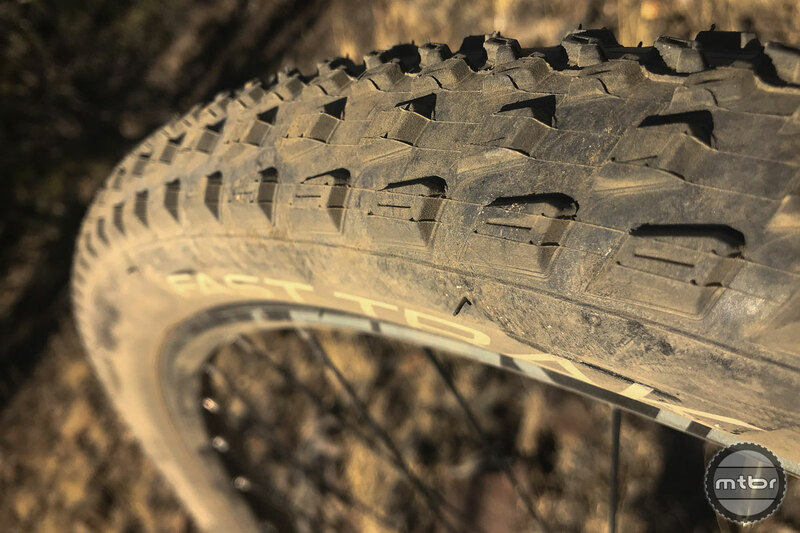 Specialized claims its Fast Trak XC tire’s consistent shoulder block layout improves cornering traction, while overall block spacing is on the wider side, which aims to improve mud/debris clearance. Tightly spaced (almost touching) center knobs allow the Fast Trak to get up to speed quickly and stay there. Intended use conditions are dry/hard packed to intermediate. 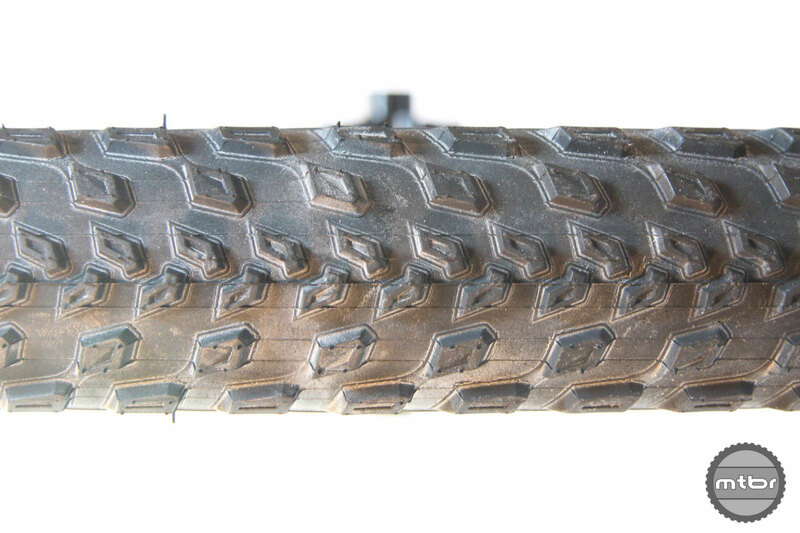 Gripton compound is said to give the tire a livelier feel, while also enhancing grip in wet and dry conditions alike. 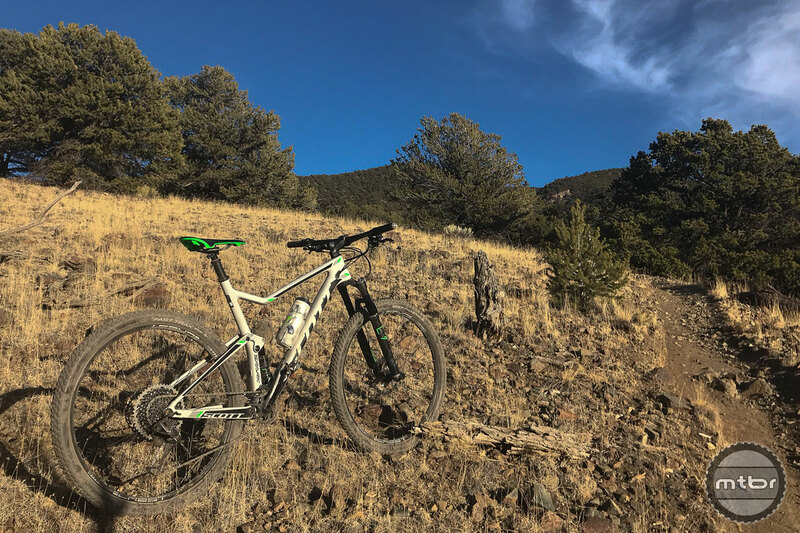 Mtbr found that the Fast Trak could hold its own even on the loose, marbly terrain of Salida, Colorado’s S Mountain trails. Relatively low profile shoulder knobs help keep MPH high even when leaning hard into a turn. We’re always fans of an easy-to-spot rotation arrow. Cutouts in all the various knobs help these tires better conform to the trail. On the Mtbr Park Tools DS-1 Electronic Scale the Fast Trak weighed 679 grams (39g more than claimed weight). 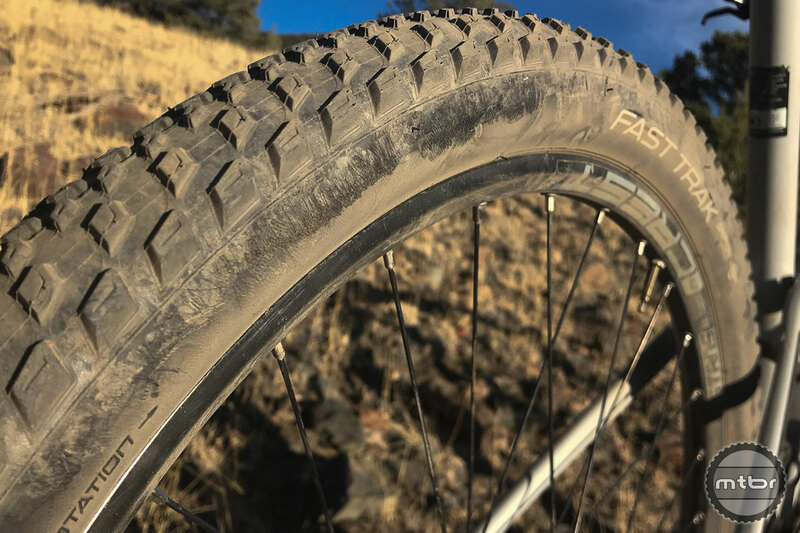 Riding the stock Fast Traks that came on my Epic and every time I think about changing out the 2.1″ in the back to something wider, the tire’s grip and comfort surprise me and I decide not to.